👉18-Month Manufacturer Warranty & Friendly Customer-Service. 1. Connect the power adapter to power outlet. 2. Connect the adapter to the USB 2.0 interface, connect the micro USB to the wireless charger. 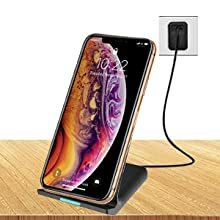 Use without phone case for best charging results. Place the phone on the center port of the charging stand. 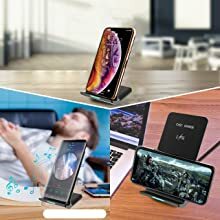 Phone can be charged vertically or horizontally, so you they can enjoy movies and music, making calls or sending messages without interrupting while charging. Charges at speeds up to 10 watts with built-in 2 coils allow for faster high efficiency charging. 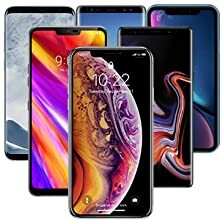 Fully charges phones within 3-5 hours depending on make and model of phone. Portable, lightweight, and sleek design suitable for use in multiple locations. 1.Q: Does LK’s wireless charger contain AC Adapter? 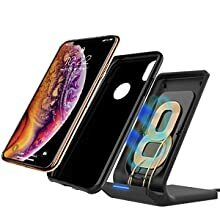 2.Q: Do I need to take the case off the phone to use the wireless charger? A: LK’s wireless charger works with cases on, case friendly. 3.Q: Can you use a laptop USB port as a power source for the charger? 4.Q: Is LK wireless charging faster than wired charging? 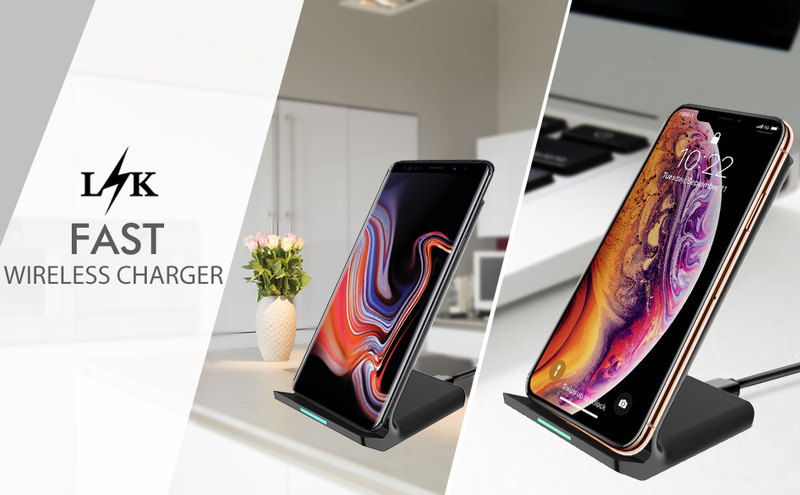 A: LK fast wireless charging is faster than standard wireless charging, but not as fast as wired charging because wireless charging keeps your device and battery from overheating and over charging. 5.Q: What can I do if LK’s wireless charger stops working? A: Contact LK for a replacement. 6.Q: What are some reasons it may charge slowly? A: A case that is too thick may slow charging.